From the collection of a gentleman we offer this charming framed oil on board titled Gentlemans Row, Enfield by Henry Charles Heffer 1857-1910. 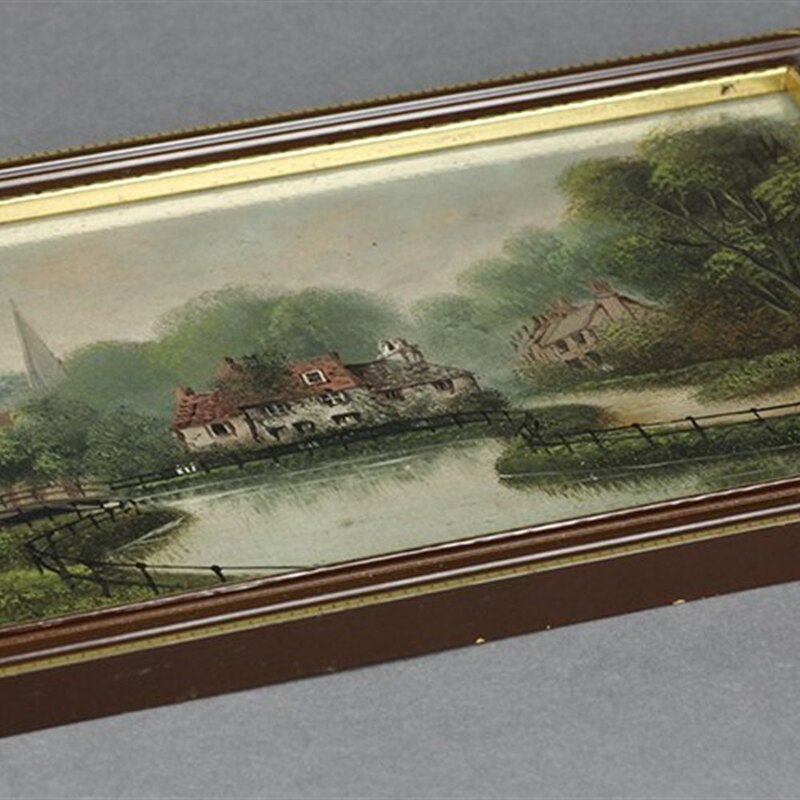 This charming painting shows various cottages and houses with the church steeple in the background set along the river. Some of the cottages remain today. The oil has been reframed around 1960/70 and Heffers work is featured in various museums and collections around the world.